News continues to emerge of large commercial law firms setting up low cost “near-shoring” centres as well as their own flexible resourcing operations. The idea, presumably, is to be able to carry out lower value work at a lower cost, freeing up the more costly resources to do higher value work. By “more costly resources”, we’re probably talking associates (and possibly more junior partners). It follows that these associates have over the years being doing lower value work than perhaps they ought to have done. More significantly, if these alternative models are successful in achieving their objectives then the result will be less work for them. This tempts the question how will this work be replaced? I’m sure the aim will be to win more high value work, but as more and more firms adopt this model it will become the norm, not a differentiator. They can’t all increase their share of a finite market. How then will firms adapt to this self-inflicted work redistribution conundrum? Will they reduce hourly billing targets – and corresponding revenue – to more civilised levels? Will we see pay cuts? Or even redundancies? It seems unlikely that high value work will cascade down from partner level, unless the plan is to free partners to do more “rainmaking”. Of course, more and more firms are also increasing their specialist business development teams, doing the rainmaking at a much lower cost than partners. I can see the law firm of the future being less top-heavy, with partners not being judged on rainmaking or hours billed, but on the ability to effectively and profitably select, deploy, manage and nurture teams of lawyers, both internal and external, while progressively building the firm for the future. I’d suggest this is a more healthy strategy for the individual, the firm and the effectiveness of the market. As firms follow the crowd and join the queue to set up their near-shoring and flexible resourcing operations, you have to wonder whether they are really looking any further ahead than the firm in front of them. Jeremy Hopkins joined Obelisk in June 2015 as Client Relationship Manager. 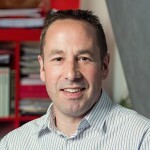 Jeremy brings an impressive background in business development, marketing and project management. Before joining Obelisk, Jeremy worked at Clerkingwell Consulting, Riverview Law and St John's Chambers. He is also a regular writer and presenter on legal practice, careers and the evolving legal services market.